This visualization illustrates the number of income restricted affordable housing units reserved for households making a certain percentage of the Austin-Round Rock metropolitan statistical area (MSA) median family income (MFI). The furthest column on the right represents units that are found within the City’s Extraterritorial Jurisdiction (ETJ). No warranty is made by the City of Austin regarding the specific accuracy or completeness of this dataset. This visualization illustrates the number of income-restricted affordable housing units reserved for households making a certain percentage of the Austin-Round Rock metropolitan statistical area (MSA) median family income (MFI). The furthest column on the right represents units that are found within the City’s Extraterritorial Jurisdiction (ETJ).  No warranty is made by the City of Austin regarding the specific accuracy or completeness of this dataset.